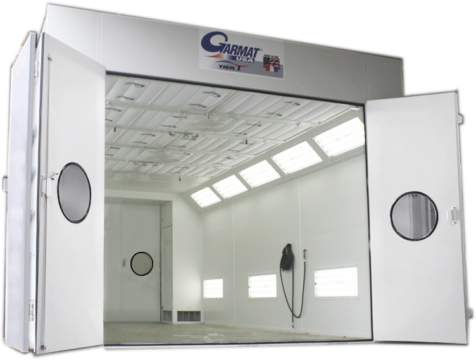 The Tier 1 Series has the signature Garmat USA quality and reliability with value options to make it an excellent environment for your refinish requirements. Featuring Garmat’s patented airflow technology. The mechanical is integrated into the roof, saving valuable shop floor space and installation time. 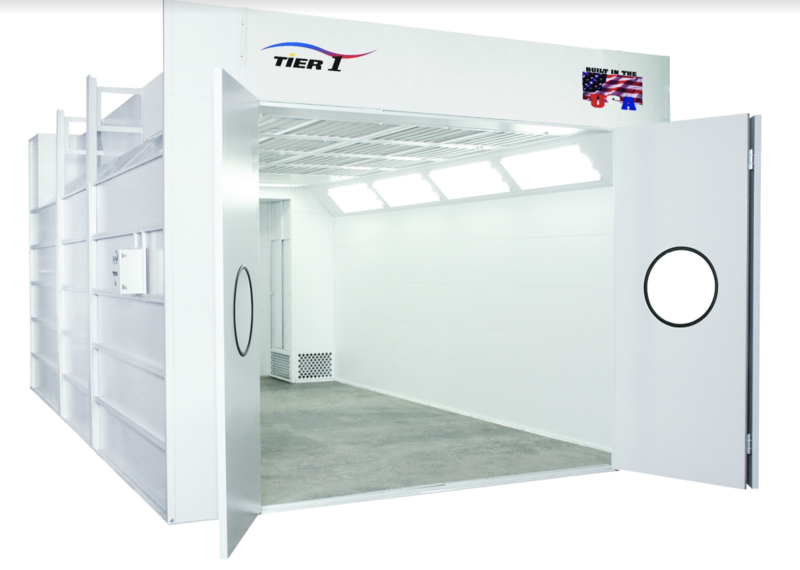 The Tier 1 features dual inlet reverse incline fan on exhaust, providing the most consistent airflow of any modified downdraft booth on the market. Add the horizontal sidewall light package for more illumination. The Tier 1 is constructed of durable powder coated fully insulated solid interlocking G-90 galvanized steel wall panels. The Tier 1 utilize ten-foot wide insulated tri-fold door assemblies with built in personnel access doors and large observation windows for high visibility.